Our lancaster tables are created to be very solid, and very sturdy -- utilizing 1.5" thick hardwood as the base for our tabletops. Please scroll down the page for more details on the lancaster dining room table. If you're unsure about the finish for your table, we encourage you to order wood samples. Color accuracy on our website cannot be assured due to a number of variables including lighting, the camera used, and the settings on your computer monitor. Our tabletops are created from 1.5" thick solid hardwood as our standard, but we can also create thicker tabletops. Measured Thickness of a Completed Tabletop: Please note that in the woodworking process, some of this thickness is sanded and planed away in order to create a flat tabletop surface. Please see our Guide to Dining Room Tables for more details on table leaves and leaf storage. Drop Legs: Drop Legs allow you add additional support to the ends of the table. We recommend drop legs on all tables with 3 or more 18" leaves, and 4 or more 12" leaves. Drop legs fold up inside the table when not in use, and are hidden from view. Please click here for a photo. Tabletop: Each dining table can be created with one of several tabletop styles. 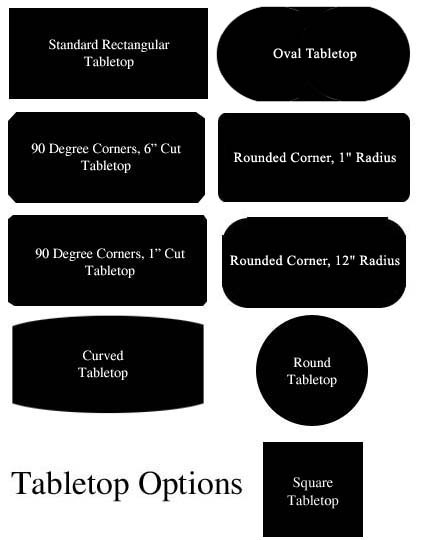 Please click here to see our tabletop options chart. 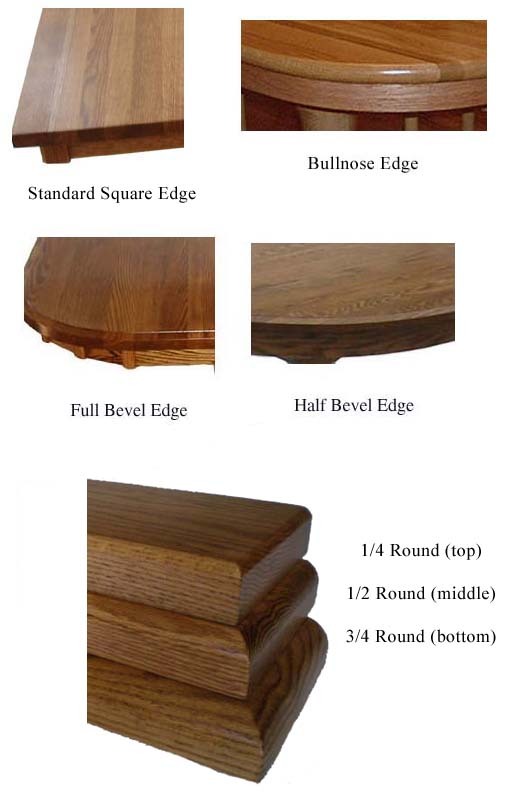 Table Edge: Our tables have seven different edges available. Click here for photos of these seven options: Standard Square, Half Bevel, Full Bevel, Bullnose, 1/4 Round, 1/2 Round and 3/4 Round. 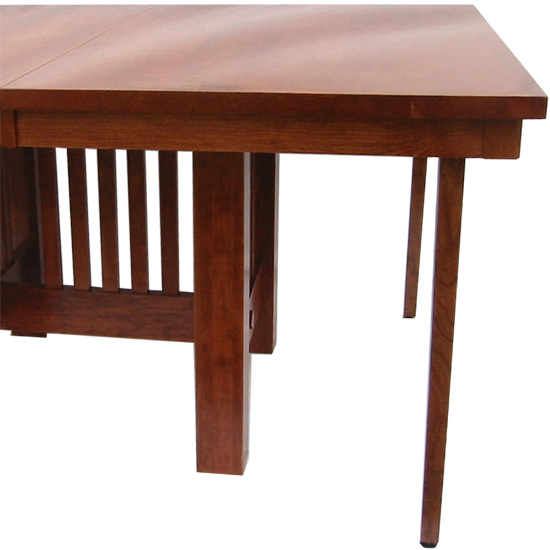 Our tables are individually handcrafted by Amish craftsmen with decades of experience. Creating a beautiful, durable tabletop requires this level of expertise. To assure this quality, we offer a full money back guarantee and a full one year warranty against defects on our dining room tables.